I think I may have mentioned just how much I love Christmas and for me, the whole party season begins with my October birthday. From then on, it’s a time for celebration, for getting dressed up, for sparkling and for spending time with friends and family, which is of course, the most enjoyable thing. I love decorating our home and I love buying gifts too, so here are a few of my favourite things this season and because I feel I can only recommend things I have seen, used or own myself, everything here is mine. I took all of these photographs myself but there are links to all of the items so you can see stock images too. I’ll start, if I may, with my jewellery and accessories from Lizzy O, my own online boutique. The Lizzy O range is an affordable collection of wrap bracelets, statement pendants and scarves. I source, select and buy them myself and they are at a very attainable price point (£12.50-£15). I choose things that will lift an outfit by adding sparkle, (the bracelets are super-sparkly), or colour and pattern (the scarves). The pendants are both eye-catching and simple which makes them versatile for both day and evening. Delivery is free to the UK and £3.95 to the rest of the world. I wrap the jewellery in organza bags and tissue paper so it is ready to present and everything, including the scarves of course, is lightweight and easy to post. I can also post straight to the desired recipient, if you let me know the delivery address when you place the order. As well as my own Lizzy O brand, I stock a curated range of Danon jewellery. Danon is an Israeli brand and the pieces are crafted from precious metal platings, semi-precious stones, Swarovski crystals and freshwater pearls. 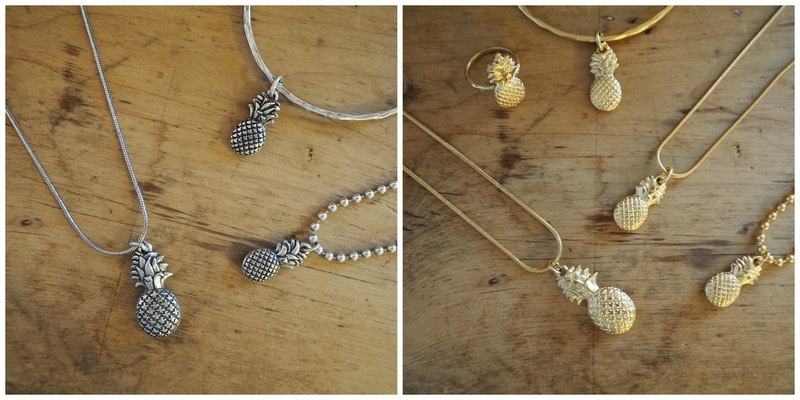 They mix and match beautifully, so for example, the stars and pineapples look fabulous together. The bees and dragonflies compliment each other well. I can’t think of another jewellery brand that offers a similar aesthetic and it is rare that I don’t wear at least a few pieces of Danon each and every day. 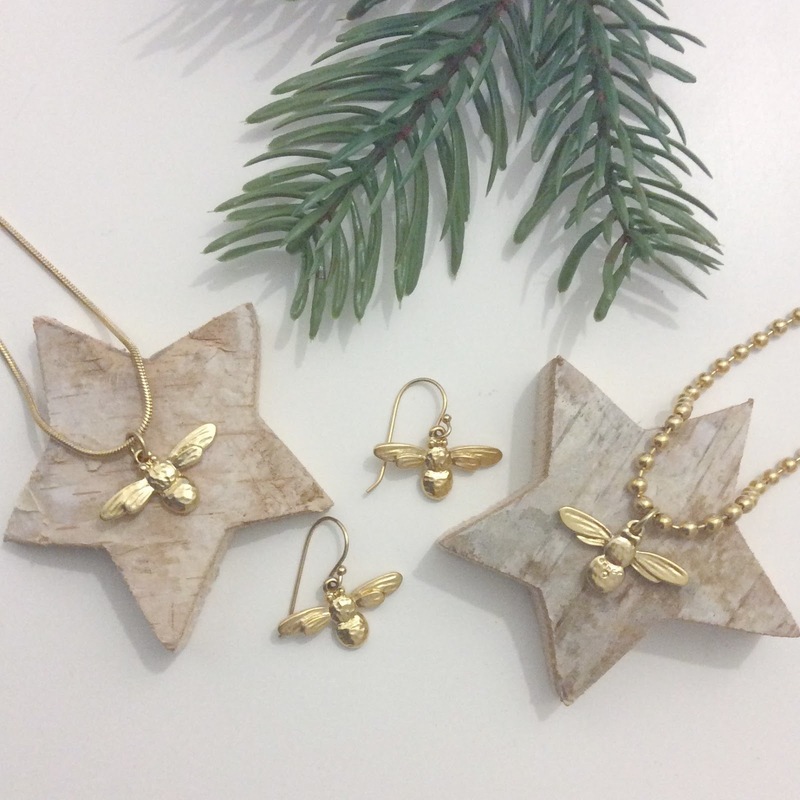 I have added a new range of both bee and pineapple jewellery in both gold and silver so do take a look because they are fabulous and would appeal to women of all ages. Unsurprisingly, I have a lot of jewellery and take a wide selection with me if I travel. This mini white leather jewellery box is beautiful and is perfect for keeping everything together whilst also protecting it. Who doesn’t love getting underwear at Christmas?I wrote quite a lengthy blog post recently about the best underwear and a guide for men buying it for their partner and featured quite a few sets by Next. I have been getting most of my lingerie from Next for as long as I can remember. They offer a wide range of styles, colours and shapes. This tartan set is my current favourite. The racer back, front-fastening bra is a little different and is a practical option because of the straps and because it looks very smooth under close-fitting clothing. Ilex London is one of my favourite handbag brands. They offer the most beautiful leather bags in a wide selection of colours and styles. I have the big sister of the one below, the Fiona shoulder bag in Scarlet, that I use frequently, (and wore on my birthday with skinny jeans and a sequinned top), I also have a mustard yellow hobo, (that I wore with matching mustard yellow heels and a slogan sweatshirt in spring and then recently with a 70s style dress and knee-high boots for my visit to the Next press show in London) and the Alexa grab bag in clay, (that I wore with a floral bodycon midi dress and sparkly Jimmy Choos for my university renuion, as well as with an autumnal top and jeans more recently), such is its versatility. This cross-body clutch bag is the perfect size for evening use but it isn’t so small that it couldn’t be used during the day either. (You can see in this blog post when I teamed it with a red ruffle dress). 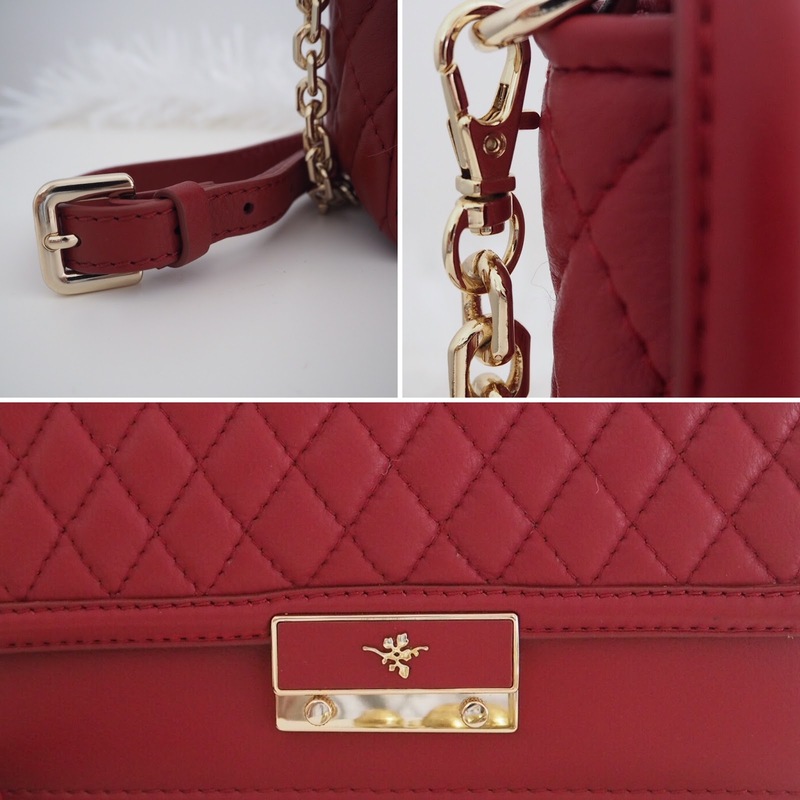 The close-up images below shows the details- it has a detachable chain strap and the quilting is simply lovely. As you know, I work from home so like to feel warm and comfortable and I like to wear slippers during winter, (flip-flops in summer). These by The White Company have been the best I have ever found and I’m wearing them as I type. They’re sturdy yet soft and cosy and would be a welcome addition to many a Christmas stocking. I love accessoring my home as much as I do my outfits and I burn candles all year round. Every November, I invest in a selection of Winter candles from the White Company. To me, there simply isn’t another home fragrance I like as much and it epitomises the scent of Christmas. This limited edition gift set has two votives in mercurised glass which can be used to hold a tealight once the candle has burned down. I get the most enormous pleasure from every aspect of entertaining, from cooking and baking, to dressing the table. Generally, we eat family-style, and I use bakeware that works from oven to table to save on space and washing up. This gorgeous heart-shaped baker is ideal for roast potatoes, rice-pudding, salad, bread rolls, the list is endless. Some lovely gift her, I love your bee jewellery, and the gold pouch. Pretty photos and lovely post as always! 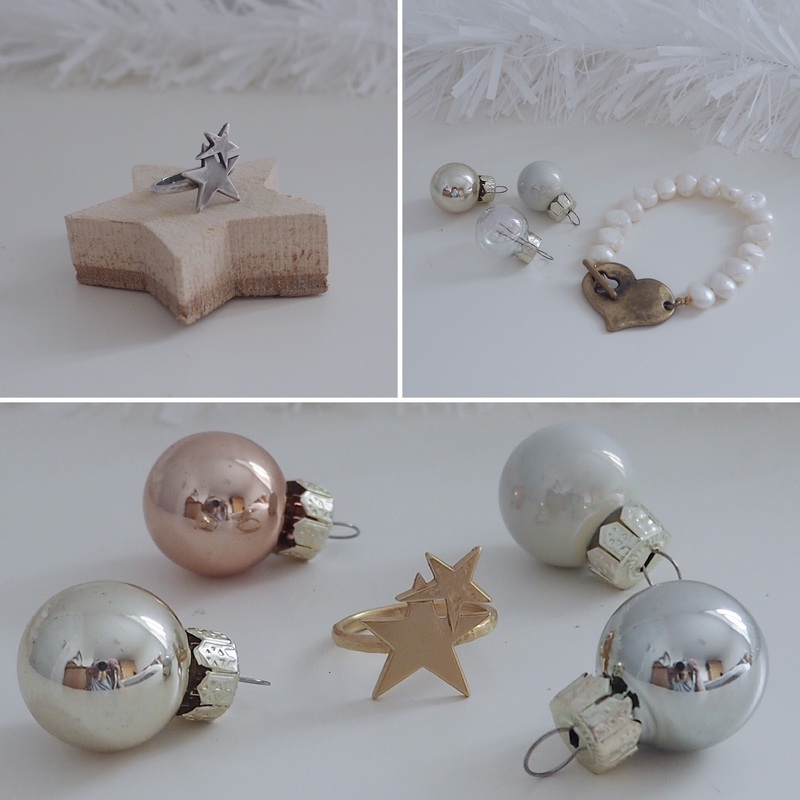 Love how you have styled your photos with baubles! I would be delighted to have any of those gifts in my stocking, particularly the gold bag and winter candles.